A teenager with multiple sclerosis (MS) will be the only young athlete from London to compete in the inaugural World Para Athletics Junior Championships next month. Amar Aichoun was given the life-changing news that he had MS at the tender age of 13. But with dedicated support from Track Academy by Connie Henry in Willesden, the determined teenager has been picked to race against the world’s best in Switzerland from August 3 to 6. After completing a 100m qualifier in 11.7 seconds, 19-year-old Amar will run in the 100m and 200m in the T38 category, taking his place on the British team alongside 13 other hopefuls. The junior games come hot on the heels of the senior World Para Athletics Championships in London, which ended yesterday. The teenager’s selection for the championships is the culmination of years of hard work since his unexpected diagnosis. Amar, who lives on the St Raphael’s Estate with his family, explained: “Over a couple of days, my eyesight began to get progressively worse and my speech started to slur. In March this year – just three months after a hernia operation – Amar travelled to Dubai to be classified by the International Paralympic Committee. He was placed in the T38 category, the same as celebrated Paralympian sprinter and cyclist Kadeena Cox, who also has MS and who won two gold medals in Rio last year. 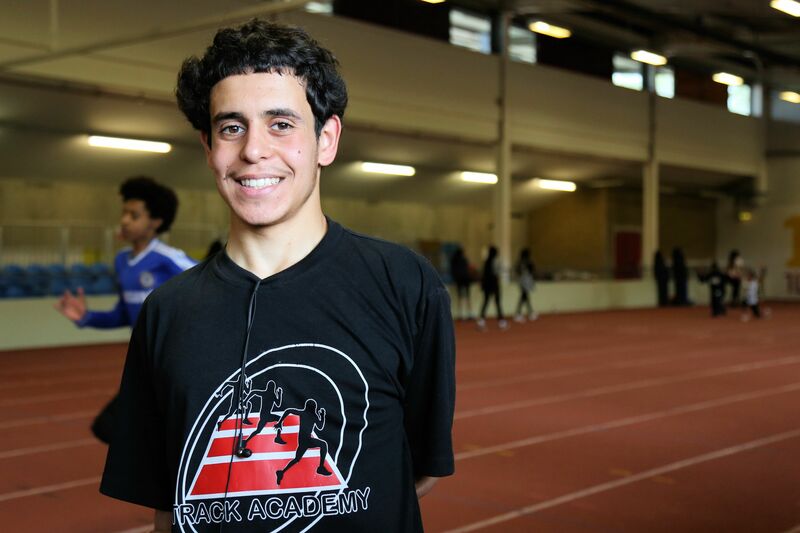 Amar is now a member of Track Academy’s elite competitive training group. 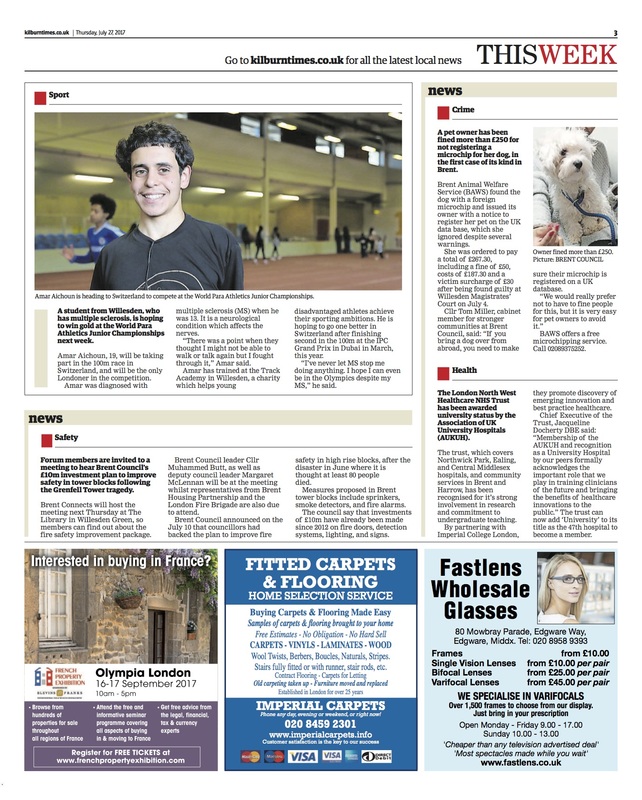 But it’s not just his physical skills that have been given a boost by the Donnington Road-based charity. Amar has regularly attended Saturday sessions in English over the years, putting in extra effort after not securing the required C grade at GCSE level. The ever-determined Amar has just completed his first year of a degree in Sport, Health and Exercise Science at Brunel University. Meanwhile, he regularly helps out with younger athletes at Track Academy in his spare time. Alongside athletics coaching, they attend education sessions to help them gain qualifications, encouraging them to carve out fulfilling lives away from negative influences. The academy is holding a special invitational event on August 15, just after the World Championships and World Para Athletics Championships take place in London. For more information or photographs, contact Claire Owen on 07956 211907 or email pr@trackacademy.co.uk.